Off-page SEO is a technique used to enhance the ranking of a website in search engine result. Off-page optimization is a type of SEO that deals with backlinks/ incoming links to the website and promotion of the website. It has nothing to do with internal coding and content of the web pages as in on-page SEO. Beyond website design, off-page SEO uses to carry out promotional methods for the purpose of higher and improved website ranking in search engine result page. These activities are performed outside the boundaries of the website itself. It is named so because all the related activities related to website popularity takes place away from the boundaries of the website itself. Generation of natural incoming links to the website assures search engine about the relevancy and reliability of the website. It ensures search engine that the website deserves to rank higher. 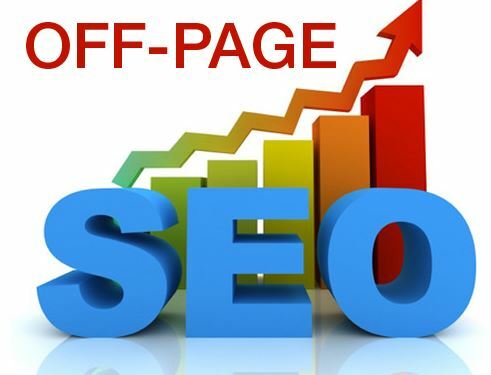 Off-page SEO is doing activities from the external point of view for higher ranking in search engine result page. It may include your incorporation, social profile maintenance and reputation gain along with link building. It is essential for higher search engine ranking of the website to drive more targeted traffic to the website. It is important for indication of how the world perceives your website. It is all about your reference from other websites, your mentions in social media, you’re bookmarked and sharing among communities. It is important for more business exposure. Higher ranking brings more links, more visits, and more social media mentions. It grows up continuously and never goes down. Help your business to be an established and well-known brand. 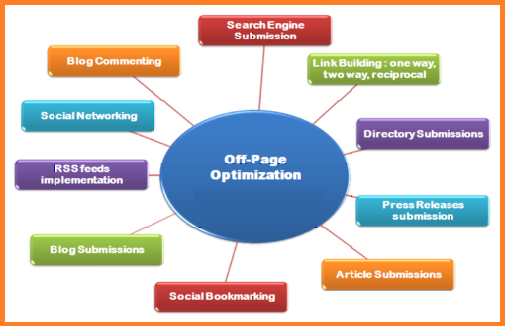 Off-page optimization of website help to rank higher in search engine result page. High rank in search result means higher traffic to the website. SEO is important for the increase in page ranking. Off-page SEO help the website to get better page rank. Page ranking is a strategy of Google search engine to give more relevant search result. It lies in 0-9. The better the rank of the page, the important the website will be for the search engine. There are 3 most common and most effective techniques for off-page optimization: Link Building, Social Media, and Social Bookmarking. Link building: quality is much better than quantity. How many links are pointing to your website is not that important but from where the link is coming to your page matters a lot. The natural link is links pointing to your website and artificial links are tricks of black hat SEO. Artificial links increase the risk of getting a manual or algorithmic penalty by the search engine. It is better to create natural links to your website. Directory submission: Submit content to standard directory submission sites under appropriate category for quality backlinks to your website. Forum posting: It is a smart way to gain publicity and drive good traffic along with quality backlinks from online discussion boards. Blog posting: It is a quick and effective mode of website promotion by backlink creation. Prepare unique and keyword optimized content with good incoming links to your website and submit it to leading blog submission websites. Article submission: Write informative articles related to product and services with good quality backlinks to your websites. Optimize it properly before submission. Press release submission: Submit press releases in sites increment page rank. It also enhances online visibility of the website. Search engine submission: submit your websites manually to major search engines like Google, Bing etc. to get indexed properly. RSS submission: Submit website in RSS format to RSS engines. It helps in quick indexing of the website and allows to generate free natural backlinks fo the website. Classified submission: It is an effective and faster way of marketing. Most of the people use to search classified ads for what they want. Video Submission: Submitting the video to popular sites like YouTube, vimeo etc. increase popularity and also provide quality incoming link to your website. Also help to drive relevant traffic to website. Blog commenting: It increase exposure, build links to your webpage, bring good traffic to your page. Submitting optimized PDF and PPT submission to relevant sites can also help to create incoming links to the website. Guest posting: It is also useful in natural link building for your webpage. Guest posting is similar to writing blog or article. The only difference is that it include some content or link of other websites. It is done to gain popularity, drive targeted crowd to website, and obviously for link building. Social media: It is very important to maintain social profile properly. It is also a form of link building. Most of the links we get from social media are no follow links but worth for gaining ranking factor and help to boost SEO. Social bookmarking: it is a good way to drive traffic to your website. Depending on your niche find out your best websites to promote your content. Delicious, Reddit, Stumbleupon, Digg, Diigo, Scoop are some of the best sites for this purpose. Search engine optimization means overall optimization of the website in terms of higher popularity, better search engine ranking and reputation. On-page optimization and off-page optimization are equally important for the successful SEO campaign. In my view, it is better to try to get links from hard-to-get places because it will have more value. If your website design and development is correct, and you are promoting it in right way, you will automatically get followers. Was this article helpful? Share your views in the comment section below. Keep visiting our Tech Blog and stay updated with latest technology blog posts. Thank you for your appreciation! We’d love to see you again! I also am a blogger, and I really appreciate your work. This blog contain worth content. Very good article. possess the gift. You explained everything so easily. keep doing this hard work.It’s really great work. shared on your own site. Looking at your blog publication is a real excellent experience. you the best of achievements like a professional in this field. Thanks for your feedback. We would love to see you again! It’s very helpful to me and thanks for the sharing..
with original thoughts on this subject. Really.. thank you for starting this up.